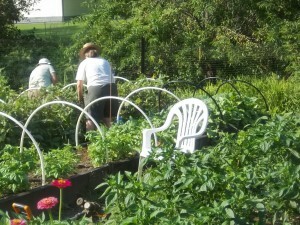 People who live in Williamson’s senior citizen apartments can raise vegetables in the community garden across the road. In Charleston, people with no garden space can now plant at more than a dozen community gardens, including a large garden that feeds the homeless. 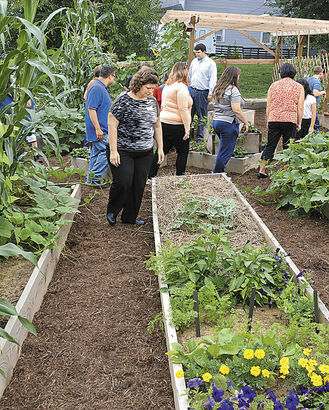 Huntington’s community garden group gives people gardening lessons. North Carolina State has compiled a list of research that shows that people who participate in community gardens are more likely to eat healthy diets. “It’s common sense,” Porter said. The Manna Meal community garden in Charleston raised more than 3,000 pounds of produce for the soup kitchen! The American Community Garden Association: The American Community Garden Association has a wealth of useful information and resources. Check out their “Starting a community garden” page. The West Virginia Food and Farm Coalition: The WV Farm and Food Coalition can help you get acquainted with what other West Virginia communities are doing. This umbrella organization keeps up with what’s happening with small farms, gardens and fresh produce marketing in WV. Fresh ideas in action: videos from the WV Farm ad Food Coalition. Get glimpses of what other communities are doing: https://www.youtube.com/user/WVfoodandfarm/videos. See sample above! *Eartheasy. Includes videos, great photos and detailed list of needed hardware. * Sunset. This one also tells you how to install hoops for bird netting and cold-weather protection. * Popular Mechanics. Careful detailed instructions and photos. Volunteers harvest thousands of pounds of fresh produce at Charleston’s Manna Meal community garden. The soup kitchen staff freeze the produce to supply year-round vegetables. Photo courtesy WV Food and Farm Coalition. Master Gardener training More than 1,200 West Virginians have been trained as master gardeners in 33 counties. 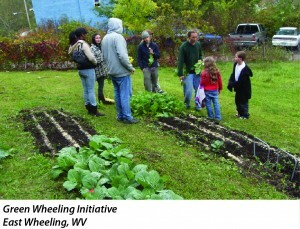 The program operates through WVU Extension. 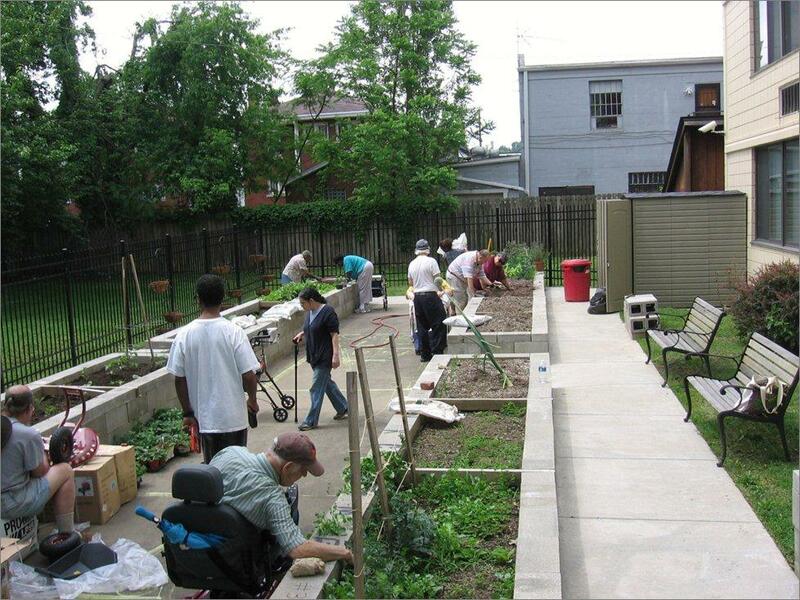 Classes have been conducted at community gardens. 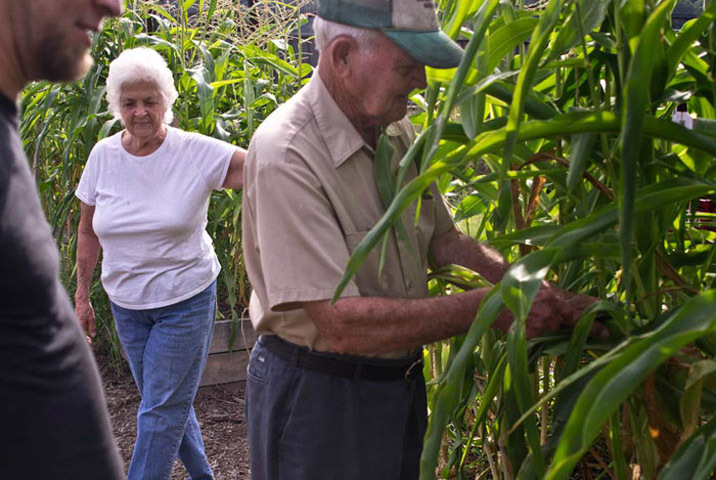 Master gardeners must perform community service each year to keep their certification, so some of them might be glad to help you. Contact your local extension office for information on classes or contacts with master gardeners in your area. Junior Master Gardener training. Master gardening for kids. If kids are involved in your community garden, look into the possibility of a junior master gardener course. Gardening for and by children: SCRATCH program (Huntingon) Sustainable Community Revitalization in Appalachia Through Children’s Hands. This afterschool project teaches children to grow food and to understand garden technology and entrepreneurship. Children sell the food they produce at local fresh food distributor. 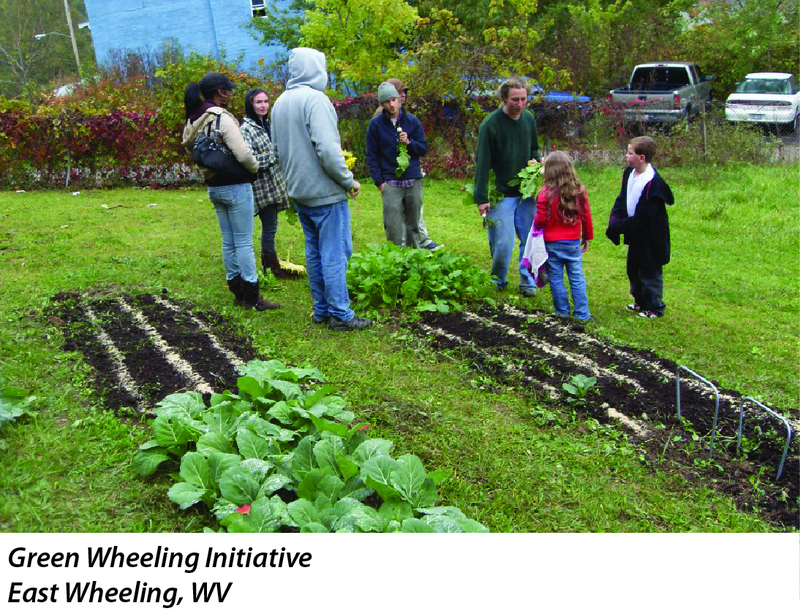 The Green Wheeling Initiative helped neighborhood groups start community gardens. Photo courtesy Green Wheeling Initiative. High tunnel community gardens: The Williamson Farmers Market is fed with fresh produce from a community high tunnel greenhouses operated in cooperation with Southern Community College. See high tunnel page. Senior centers and nursing homes often use raised beds to give seniors an easier-to-reach way to raise some fresh produce. Photo courtesy DHHR. The American Horticultural Society has a lot of great resources on youth gardening, plants, and other subjects that arise once you get going. Here’s an article on libraries that host community gardens! * Combine community gardens with food preservation classes. See the Try This food preservation page. Add a community high-tunnel garden, encourage home gardening year-round, support the farmers market. Have something else to add? Write it in “comments” below, with your contact info, in case we have questions. June 5th and 6th, Dawn. Registration opens mid-January. Glad you’re already looking! We expect the slots to go fast this year.